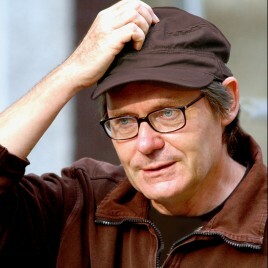 (born 1955) – film director, author of novels and scripts. Winner of an Emmy and several dozen other awards at international film festivals, as well as the IBBY Award for the best children's book of the year. In his works, he interweaves realistic and fantastical elements while not evading difficult social issues. He has an excellent understanding of children’s world and always presents reality from their point of view. He creates illustrations for his books using digital techniques. His novel cycle Magiczne Drzewo (The Magic Tree) became one of the greatest bestsellers among books for young readers in Poland. He has also gained popularity abroad. His novel has been translated into several languages, including Chinese and Japanese. A film based on the book is known in many countries.